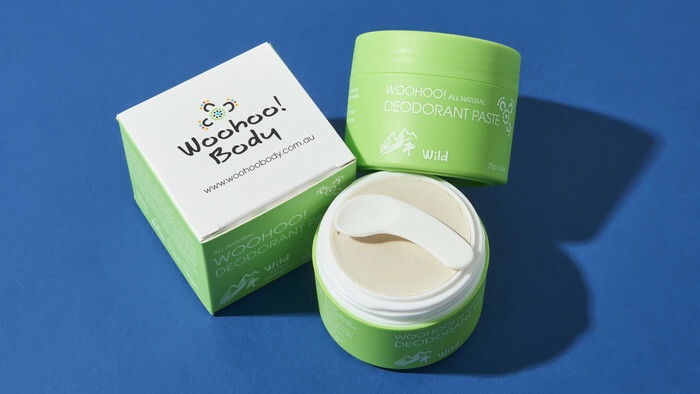 For a deodorant that packs a punch in the face of sweat and stink, the Woohoo! All Natural Deodorant Paste in Wild scent is ideal. The combination of Tapioca Starch, Bicarb Soda, Kaolin Clay, and Diatomaceous Earth absorb moisture to minimise body odour. Essential oils of Honey Myrtle, Peru Balsam and Cedarwood create a wonderfully wild, unisex scent. The Woohoo! 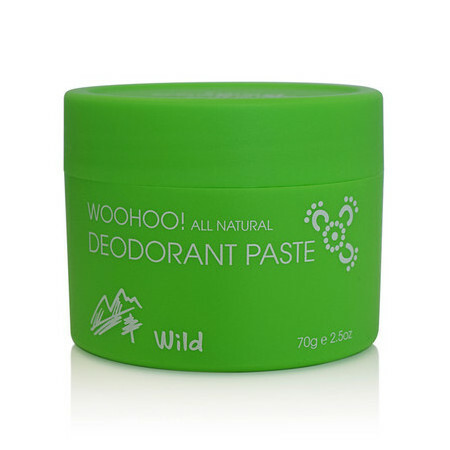 Wild deodorant is made for the adventures of everyday - whether you're breaking a sweat in the great outdoors, or running to make the train on time. This pot comes with its own handy little spatula to avoid dipping your fingers into the paste! Made in Australia, All-Natural, Certified Vegan & Certified Cruelty Free. Coconut Oil, Shea Butter, Vitamin E, Zinc Oxide. Scoop up a pea-sized amount of paste with the spatula and then warm it in your fingertips and apply to your underarms. Massage in until it disappears. My all time favorite deodorant!!! 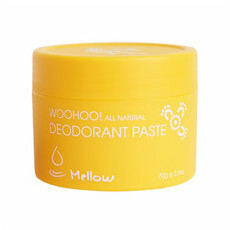 I’ve tried nearly every natural deodorant and this is by far the best!!! No smell at all, it’s a miracle. Smells great. 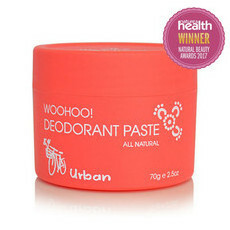 I was after a natural deodorant and after looking at many on this site, I choose this one. I was surprised by how well it worked. I still smelled fresh by the end of the day. I have since tried the other fragrances of the same brand but found they didn’t work as well as the Wild one. The product lasts a long time too.